To limit the presence of certain disinfectants, disinfection byproducts and fluoride in drinking water. Sometimes, chemicals are intentionally added to water supplies. For example, chlorine or chloramine may be added to water to act as disinfectants, and fluoride may be added to prevent tooth decay. Although the addition of small amounts of these chemicals is beneficial for public health and safety, excessive exposure can lead to adverse effects, including fluorosis (aesthetic mottling of the teeth), stomach discomfort and eye and skin irritation. In addition, the use of chlorine can lead to the formation of disinfectant byproducts (DBPs), such as trihalomethanes (THMs) and haloacetic acids (HAAs), which have been linked to cancer and kidney damage. Residual chlorine less than 0.6 mg/L. Residual chloramine less than 4 mg/L. Total trihalomethanes less than 0.08 mg/L. Total haloacetic acids less than 0.06 mg/L. Fluoride less than 4.0 mg/L. National Water Quality Management Strategy. Australian Drinking Water Guidelines 6 Version 2.0. Canberra: National Health and Medical Research Council. 2011: 167. The Australian Drinking Water Guidelines set an aesthetic guideline value of 0.6 mg/L of chlorine in drinking water. The EPA 2012 Edition of the Drinking Water Standards and Health Advisories notes that the 1998 Final Rule for Disinfectants and Disinfection By-products set a Maximum Residual Disinfection Level for Chloramine concentrations at 4 mg/L. 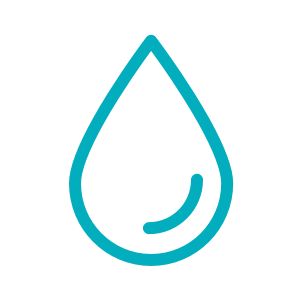 The EPA’s 2012 Edition of the Drinking Water Standards and Health Advisories notes that the 1998 Final Rule for Disinfection By-products set the total concentration for five Haloacetic acids at 0.06 mg/L. The EPA’s 2012 Edition of the Drinking Water Standards and Health Advisories notes that the 1998 Final Rule for Disinfection By-products set the total concentration for trihalomethanes at 0.08 mg/L. The EPA's Drinking Water Standards and Health Advisories set a Maximum Contaminant Level for Fluoride at 4 mg/L.